Jars are a great place to put stuff and they are abundantly available. All you have to do is save one, clean it and remove the label by soaking it in water. 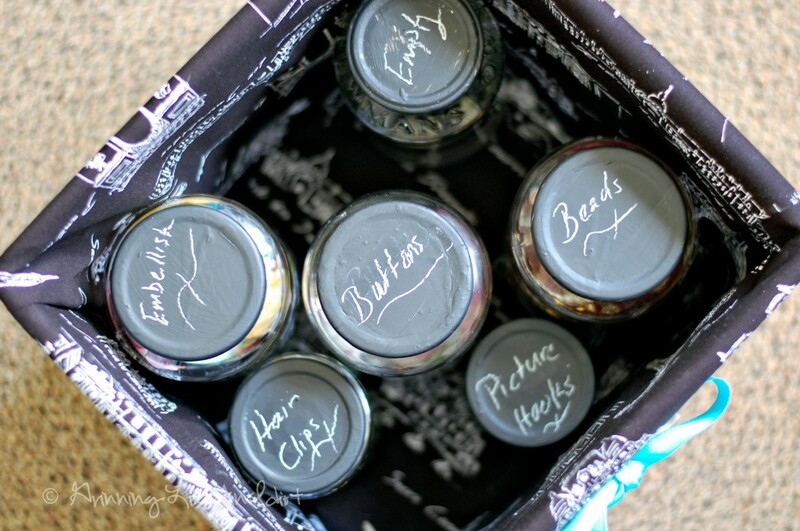 I use jars for collecting all of my little craft supplies: buttons, scrap material, hair clips etc. Where I primed the lids with spray paint. 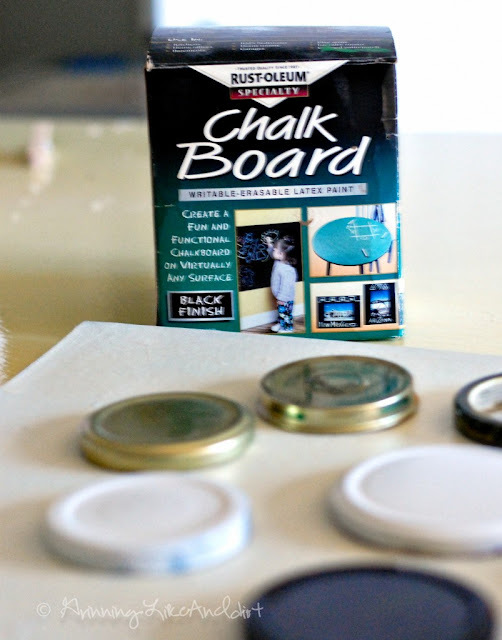 Once they were dry, Em and I took foam paint brushes and painted the lids.